As a Sales Cloud customer, you’re already supercharging your organization’s sales. But what if you could get even more value out of the world’s #1 CRM? Sales leaders who customize Sales Cloud for their unique sales cycle and automate their manual processes see an even greater return on their investment. You can tailor Sales Cloud exactly to the way you sell. 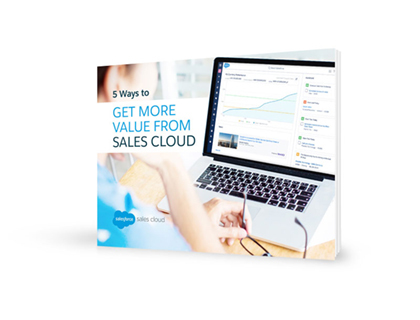 This e-book shows you five key ways you can get the most value out of Sales Cloud — making your sales organization much more effective.